Does this look like a complex carb to you? The kids in Foods 1 class do not care what type of carb this is. 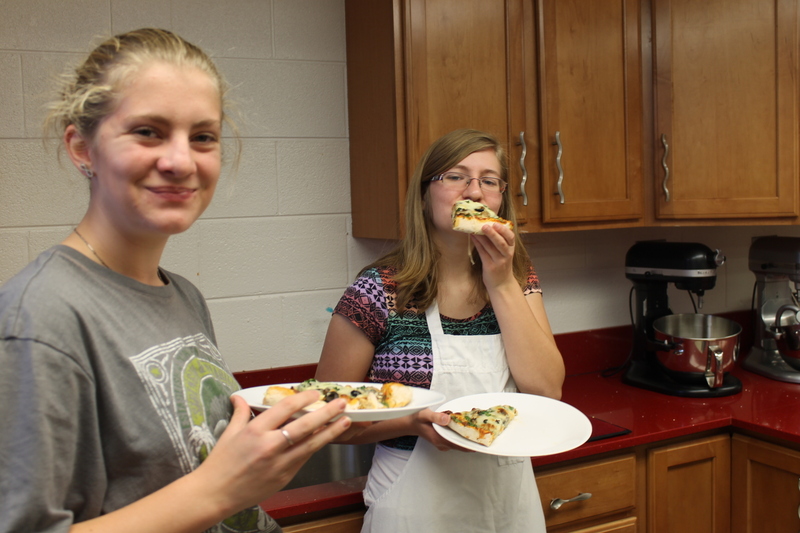 They just know it’s a cheesy, tasty good pizza they made themselves. 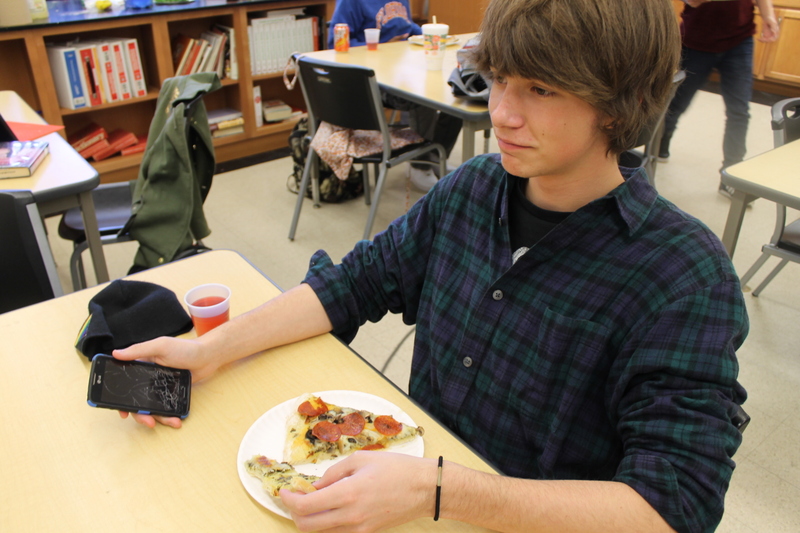 With all these nutritious choices to load their pizza, it’s a difficult decision. 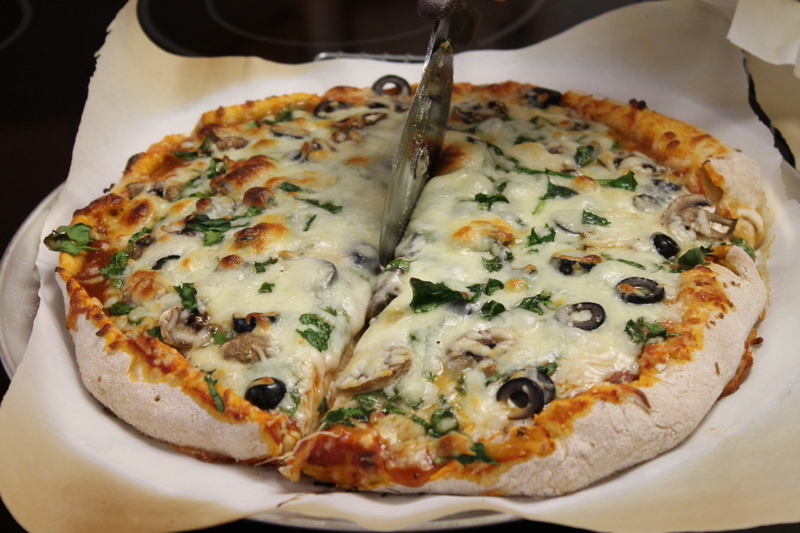 Fresh mushroom, spinach and black olives make a good choice. It’s even better when it’s baked for 15 minutes. Iila and Nyla have a half of pizza to eat to themselves. Will they do it? 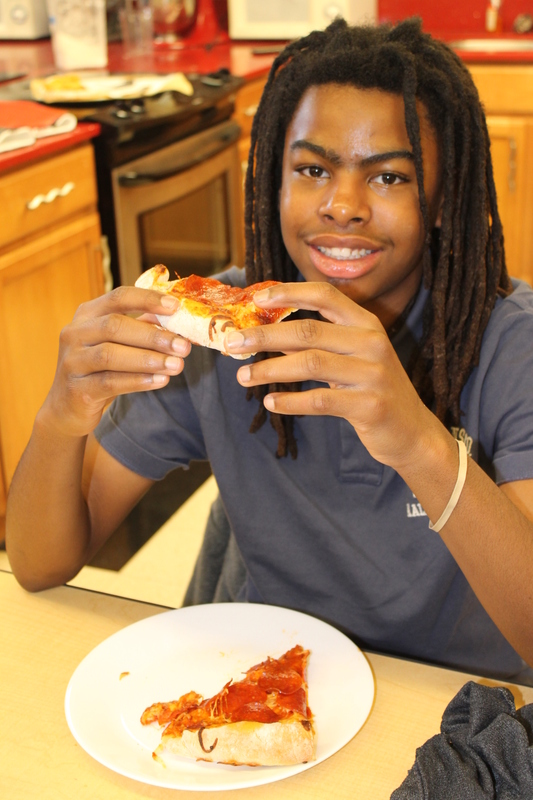 Zion knows how to finish his pizza. 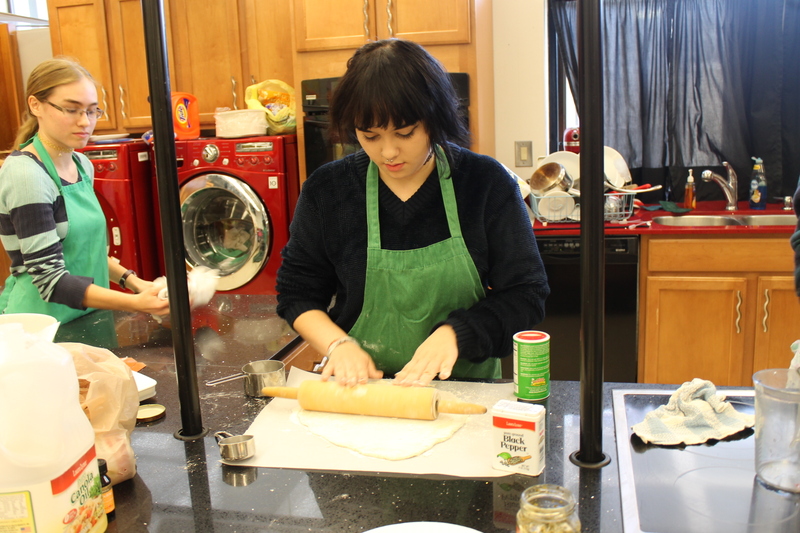 Brittany in third period has the hang of rolling from the center out. 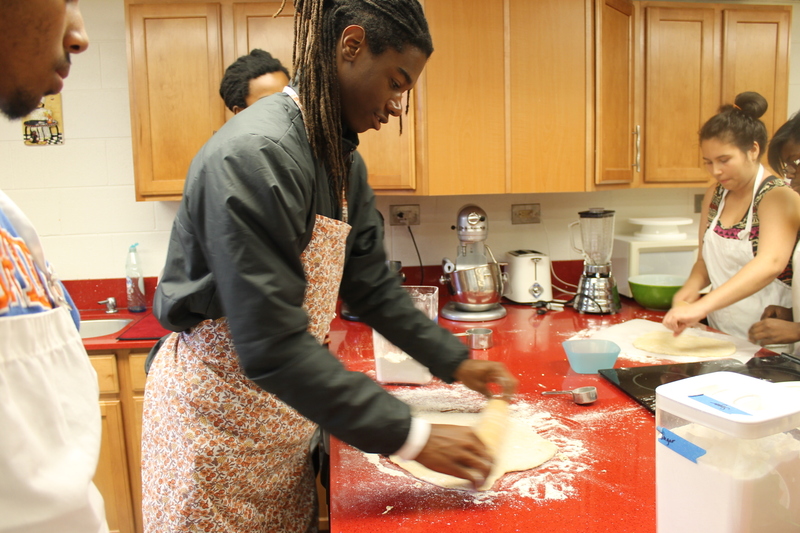 I always like to see the football players wearing aprons in the kitchen. Way to go Duan! 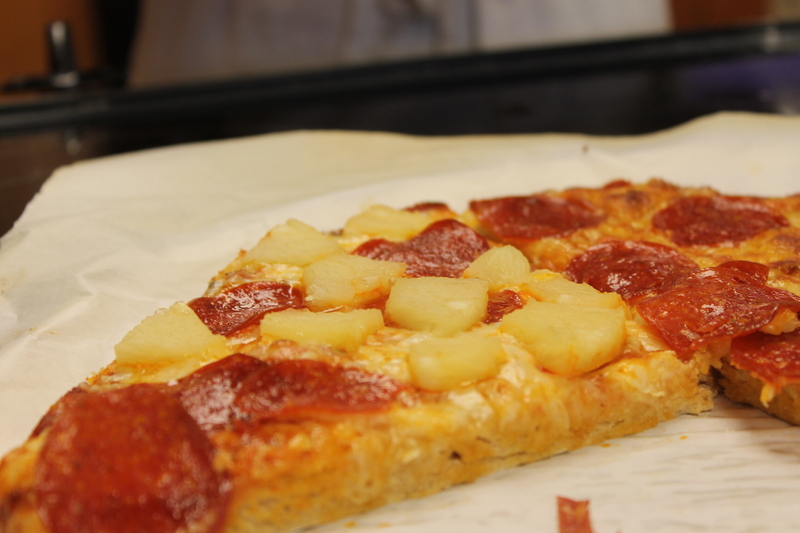 We might leave you a piece if there’s some leftover. Cailin might fight you for his pesto pizza though. My veggie lovers are happy! Did someone say meatlovers? Sausage, pineapple, peppers, oh yum in the guys tum. 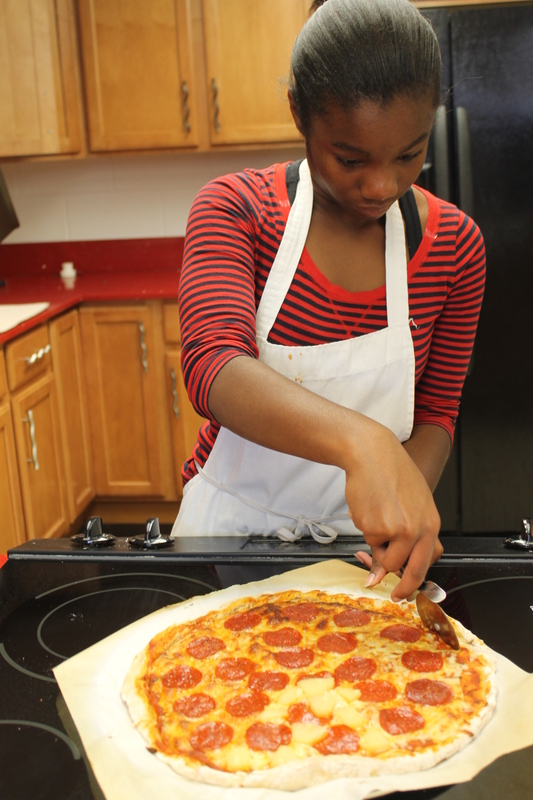 Shaina makes a mean hand tossed crust. Check out her single serving of pineapple. I’d eat the Hawaiian pizza too! 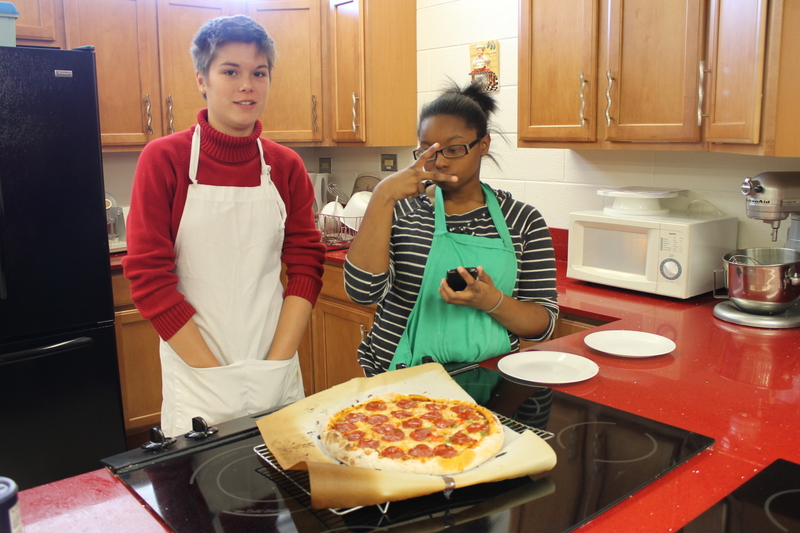 Anyway you slice it, the high carb pizza recipe was a hit today in both Foods 1 classes. I’d say this pizza will rate high in nutrients. 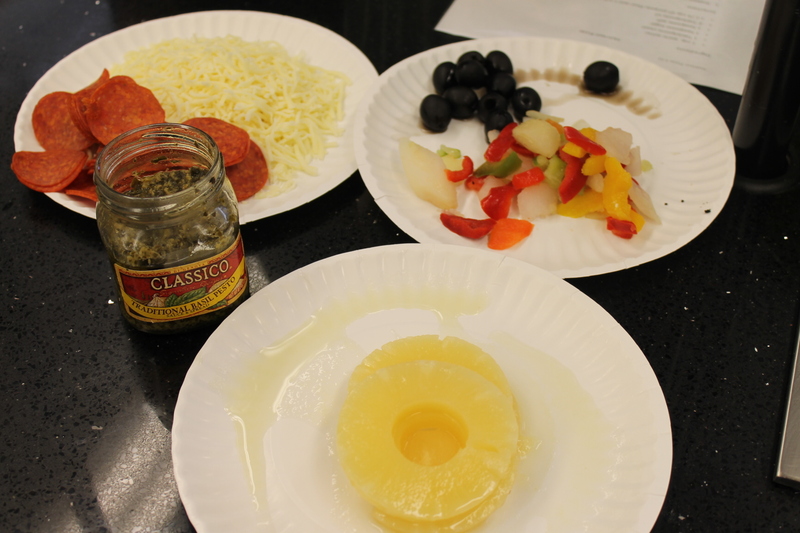 Mrs. Brown love pizza lab as a way to review the six nutrients and discuss complex carbs. 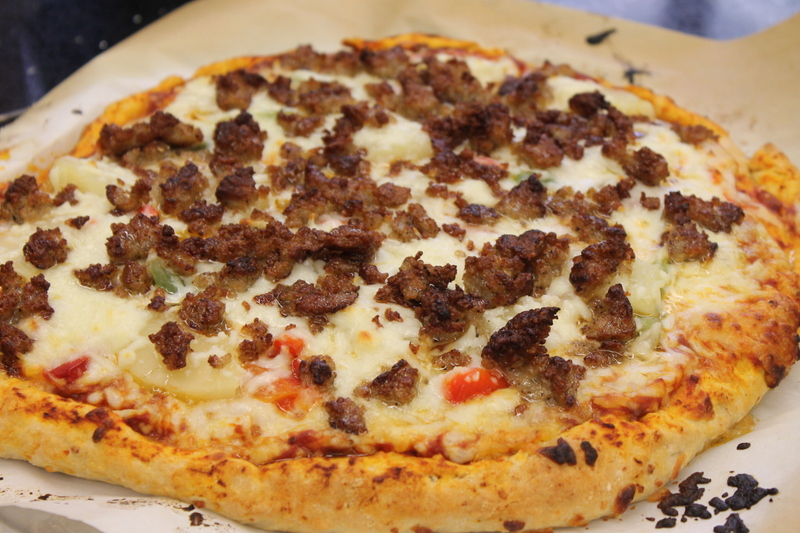 Here is Mrs. Brown’s famous recipe that she makes nearly every week at her house for her family of six. We love using the King Arthur white whole flour. 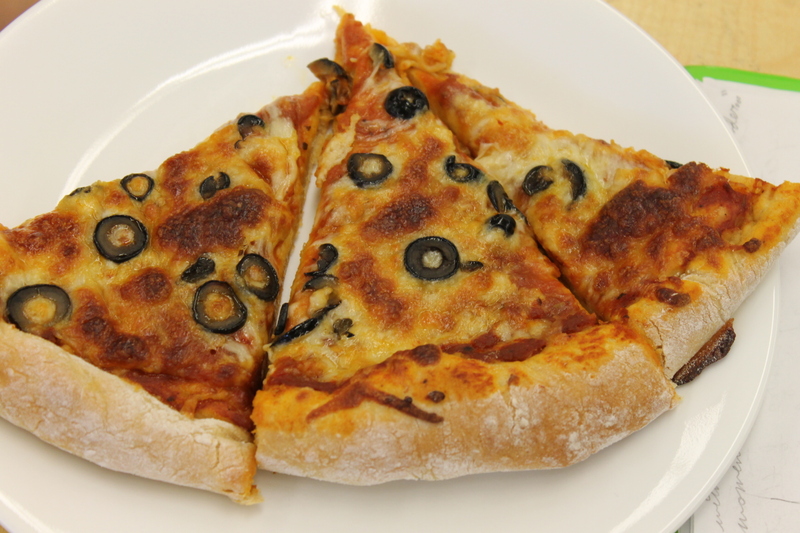 It’s a fantastic way to introduce kids to smooth white whole wheat pizza crust. Add liquid ingredients to dry ingredients. Stir well with a large spoon until a soft dough forms. Lightly flour the dough and roll out on a piece of parchment paper. 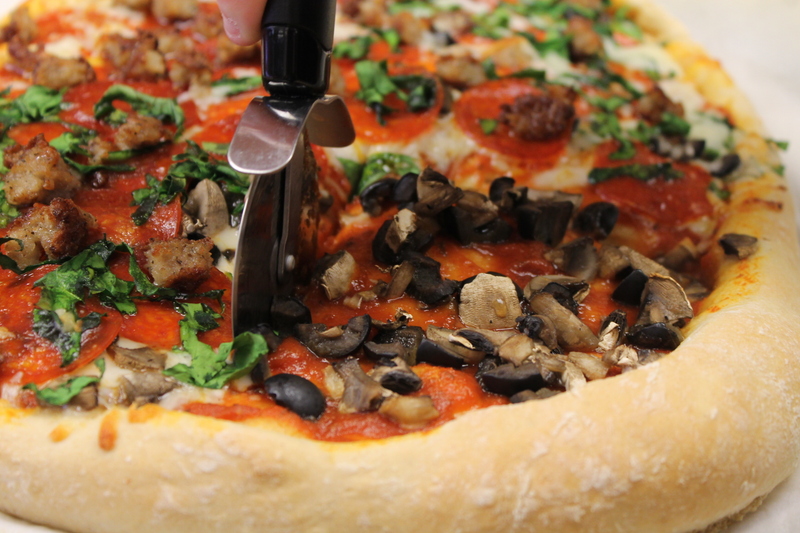 You may also press into a buttered or greased pizza pan. Top with your favorite ingredients. Bake in a preheated oven at 450 degrees for 12-15 minutes. 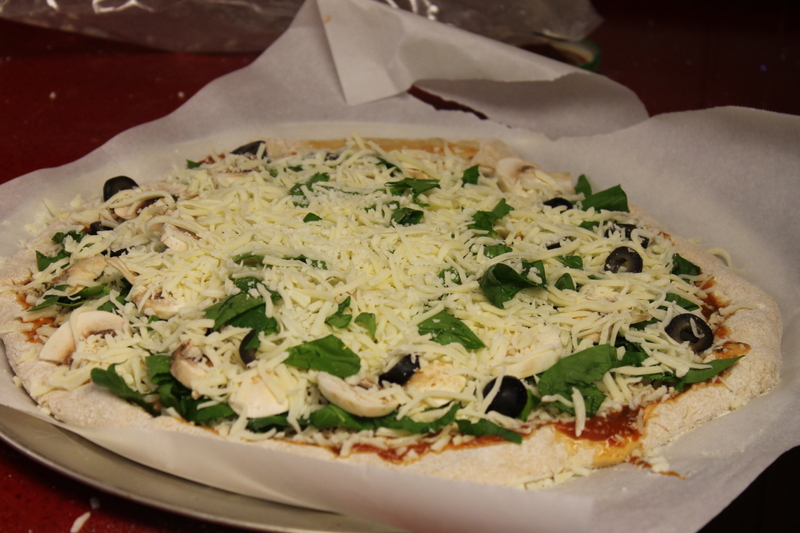 Lay a sheet of foil across the top if the cheese is browning too quickly and the crust in the center is not done. 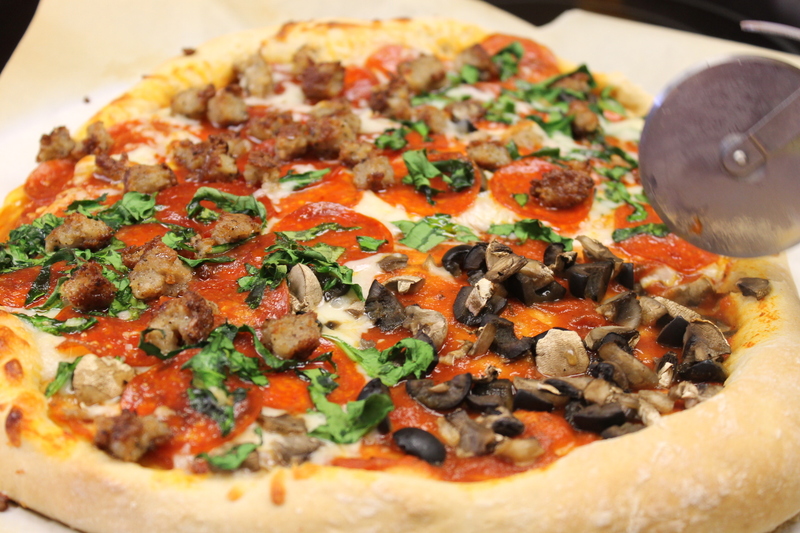 Sometimes this occurs when you have piled on the toppings, which is perfectly fine. 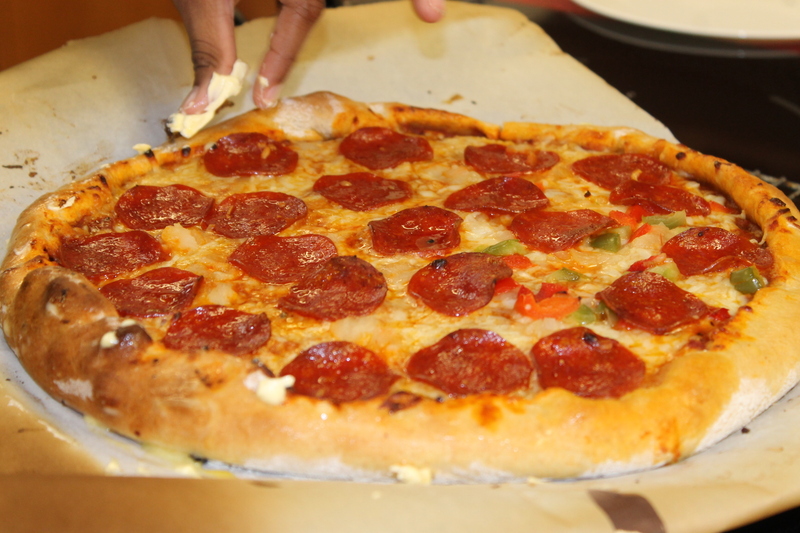 One of the groups had a super idea of brushing the finished crust with garlic butter. 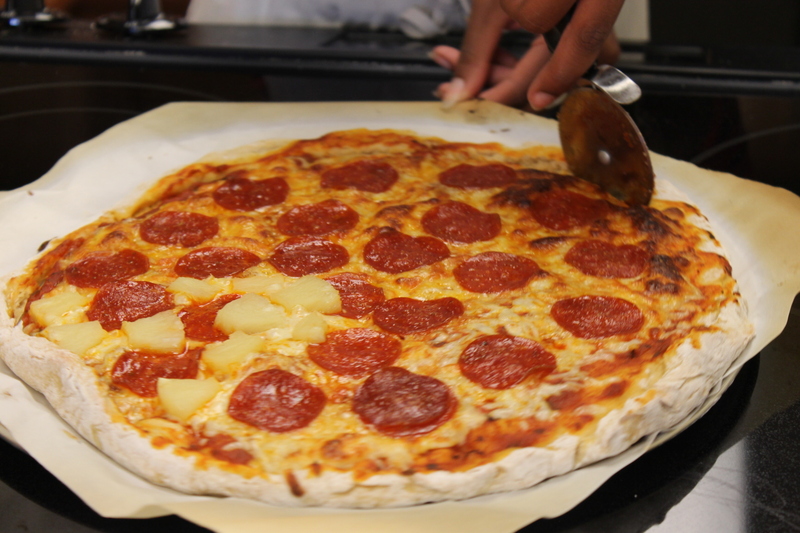 Have you made homemade pizza lately?